List of Engineering Colleges In Bijnor Uttar Pradesh: Uttar Pradesh State Entrance Examination (UPSEE) is all set to announce UPTU/AKTU Entrance Exam Result 2019. Appeared candidates will be able to download their result and scorecard from the official website of UPSEE. Successful Candidates will be called for the counseling registration and choice locking process. Admission in different govt. & private colleges and self-financed universities for various technical and professional courses will be based on the scorecard of UPTU. Top scorer will be called first for the counselling. The complete UPTU Counselling Schedule will be soon published on the official website of UPSEE. We will also upload the counselling schedule here as soon as it will announce. But before it, candidates must know about best govt/private colleges affiliated to UPTU. From past few days, we are publishing a list of Engineering and management colleges list in different cities of Uttar Pradesh. 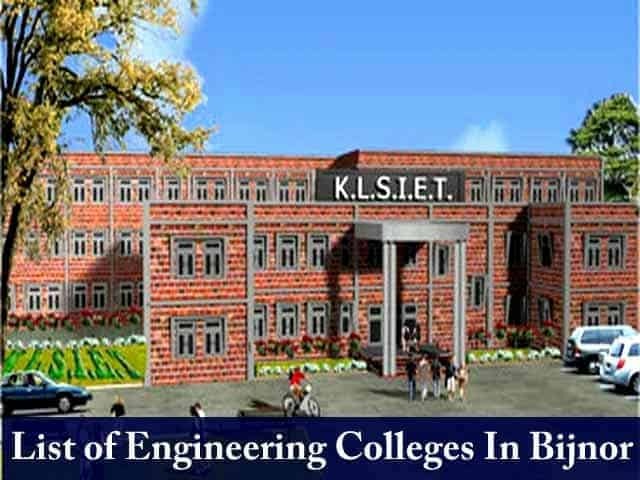 In this new article, we are publishing List of Engineering Colleges in Bijnor. Candidates who are interested in taking admission in Engineering/Management colleges of Bijnor city can check this list. All seats of these colleges will be filled through UPTU Counselling 2019. If you like this article then Bookmark this website to get all the latest news related to UPTU Admission 2019.